an offering of Leadership Pittsburgh Inc. Thanks in part to the many wonderful community connection the class of LDI XXI has created within the Larimer community, professional NFL athlete, Brandon Marshall, has agreed to make a celebrity appearance at our event. Mr. Marshall’s ties to the community and region run deep as a Pittsburgh native, and as a part of his Brandon Marshall Foundation, Mr. Marshall understands the need for strong community bonds. To learn more about the Brandon Marshall foundation, and its purpose, please follow the link above to his website. This entry was posted in Uncategorized on May 9, 2014 by popupp6. As a part of Bright Night, the class of Leadership Development Initiative XXI has worked to create a temporary lighted archway to present to the residents of Larimer that will welcome visitors to the neighborhood of Larimer. The intent is to work with the community after the event to make the construction and installation of a similar, permanent fixture a realization. 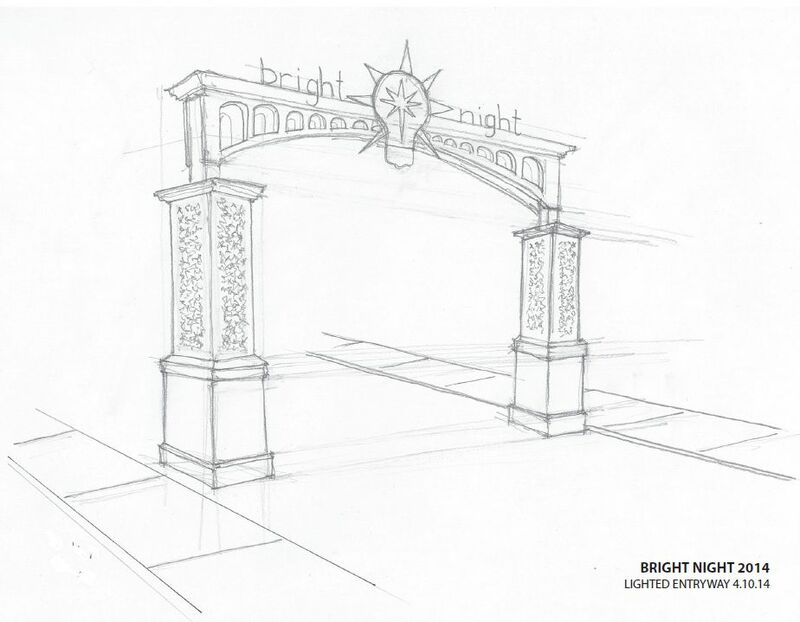 Below is an artistic rendering of what this archway will look like at Bright Night. As we draw near May 17th there has been a lot of discussion regarding what exactly can be expected in terms of entertainment at Bright Night; the short answer to that is, LOTS!!! Auto enthusiasts will be greeted upon entry to Larimer Avenue with a collection of 30 of the best cars the Pittsburgh Car Scene has to offer. Continuing on towards the ever important food selection, provided for by Pittsburgh Taco Truck and Pittsburgh Food Revolution, attendees will encounter educational and entertainment booths consisting of a NASCAR pit crew drill station, face painters, and a Science & Technology exhibit courtesy of Carnegie Library. As the afternoon changes to evening live musical and dance routines will be occurring at our main stage in anticipation of night fall. As the evening falls upon the event, Larimer Avenue will then be illuminated via theatrical lighting, courtesy of Luxe Lighting, in anticipation of the events main feature; an outdoor laser light show courtesy of Lightwave International. These are the same people who have conducted light shows for some of the nations largest entertainment events, to include SXSW and Coachella! We look forward to seeing you all on Larimer Avenue on May17th! The Larimer community and all of its hardworking, kindhearted, and faithful residents have welcomed the LDI XXI class in with open arms. This past September, I was joined by about forty of my classmates as Larimer residents invited us into their homes, community center, and places of worship. They welcomed us with kindness and high spirits, sharing meals along with their desires, thoughts, and memories of the neighborhood. Many members of the LDI XXI class had lived in Pittsburgh their entire lives and had passed by the little town many times without recognition, but after just one night, one dinner, and one extremely stimulating conversation with the passionate residents of Larimer, we will never look at the community the same way again. Planning an event in a community that you know very little about can be quite a challenge. However, getting to know the residents and fielding their participation and input was both easy and enjoyable. For the past 4 months, LDI XXI has been attending monthly meetings with the Larimer Consensus Group, volunteering in the community and establishing trust and friendship among residents. In these experiences we have found that the people of Larimer are open-minded and motivated to make their community the best that it can be. 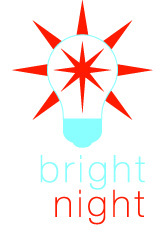 For that, we are excited and grateful to make Bright Night Larimer a fantastic event. Join us on May 17th for Bright Night Larimer, and a chance to celebrate the wonderful people of Larimer that have given so much to their Community. This entry was posted in Uncategorized on April 15, 2014 by popupp6.